"This book tells what should have been known and isn't—that Israel's hidden force is as formidable as its recognized physical strength." For decades, Israel's renowned security arm, the Mossad, has been widely recognized as the best intelligence service in the world. 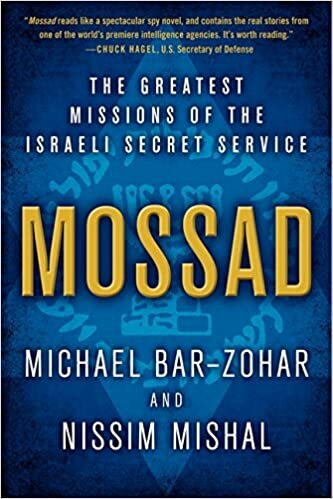 In Mossad, authors Michael Bar-Zohar and Nissim Mishal take us behind the closed curtain with riveting, eye-opening, boots-on-the-ground accounts of the most dangerous, most crucial missions in the agency's 60-year history. These are real Mission: Impossible true stories brimming with high-octane action—from the breathtaking capture of Nazi executioner Adolph Eichmann to the recent elimination of key Iranian nuclear scientists. Anyone who is fascinated by the world of international espionage, intelligence, and covert "Black-Ops" warfare will find Mossad electrifying reading.